Fra’ Giacomo Dalla Torre del Tempio di Sanguinetto has been elected the 80th Grand Master of the Sovereign Order of Malta. The Council Complete of State, the electoral body counting 54 members, met in the Magistral Villa, one of the Order of Malta’s two institutional seats, in Rome. Elected head of the Order of Malta on 29 April 2017, Fra’ Giacomo Dalla Torre is now elected for life as Grand Master. H.H. The Pope has been informed by letter of the election result. All the Order of Malta’s Grand Priories, Subpriories and National Associations around the world have been informed, as well as its diplomatic missions and those of the 107 countries with which the Order maintains diplomatic relations. HRH the Duke of Calabria was delighted to have been received by His Most Eminent Highness just four weeks before his election as Grand Master, as Frà Giacomo had been granted the rank of Bailiff Grand Cross of Justice of the Constantinian Order from the late Infante Don Carlos in 1996. 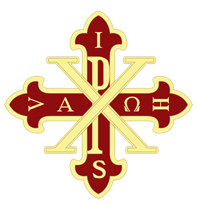 It is therefore with particular pleasure that HRH received the news of his election and it is hoped that the spirit of co-operation between the two Orders that was initiated with the reception of HRH as a Bailiff Grand Cross of Honour and Devotion in 2010 and of HRH the Duke of Noto in 2016 as a knight of Honour and Devotion will be enhanced. 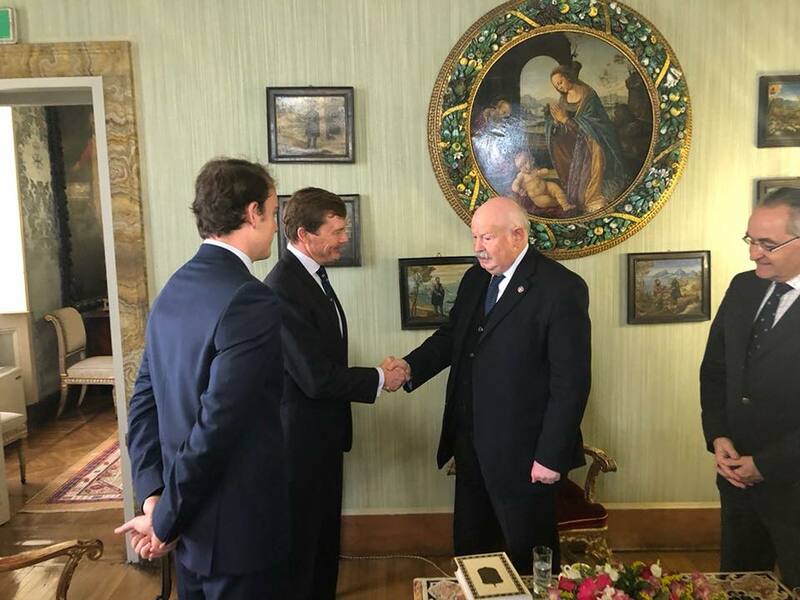 TRH the Duke of Calabria and the Duke of Noto received by the then Lieutenant of the Grand Magistery, now Grand Master, accompanied by HE Prince Dominique de la Rochefoucauld-Montbel, Grand Hospitaller of the Order of Malta (Grand Cross of Justice of our Order) on 7 April 2018.